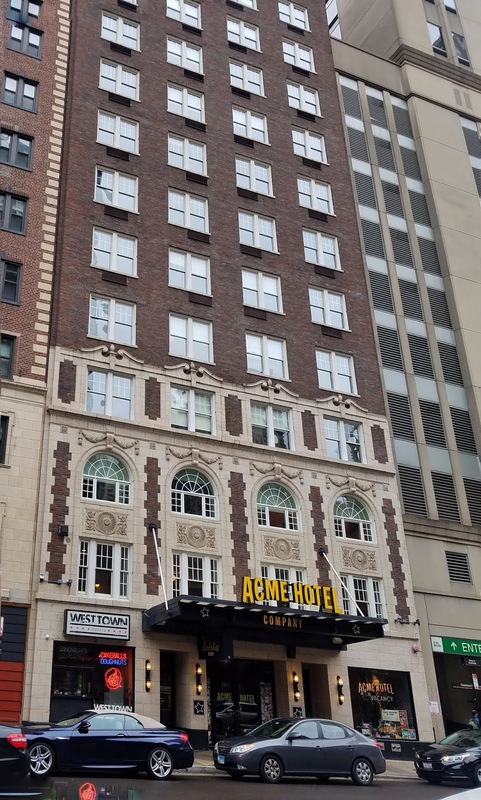 Acme Hotel was where I got my 40 winks while traveling in Chicago. I was in the Windy City for 3 nights for business. It was really just supposed to be an overnight stay which included a reception dinner on Friday evening and meeting on Saturday. Pretty much, fly in on Friday and fly out on Saturday. Since I have never been to Chicago before, I requested to stay for an extra day which was perfect "me time" to explore downtown before going to my meeting. I flew in on Thursday. Instead of flying out on Saturday evening, the travel agent booked me for another night on the company's expense so I did not have to run to the airport right after the meeting. I got to go home on Sunday. Acme Hotel was arranged for me by my work. I am glad that they did because it was just few blocks from where we had our all day meeting. And I am also glad that they chose this hip, "kooky" boutique hotel instead of a soulless (but much spacious) chain like the Marriott or Hilton. 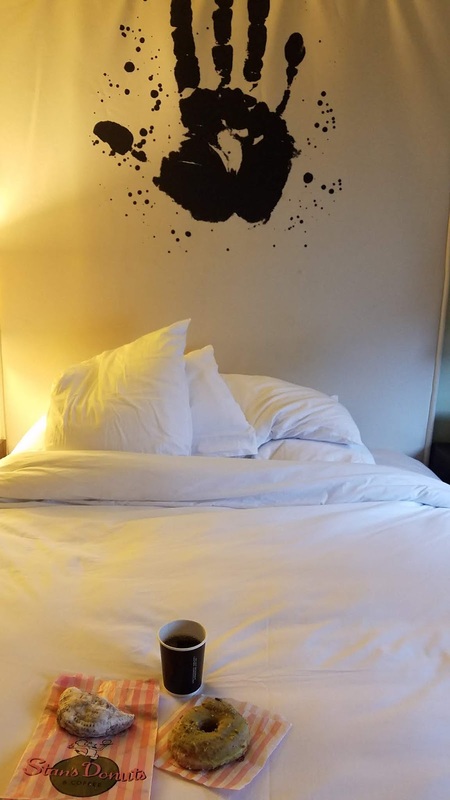 Acme Hotel is right smack where you want to be in Chicago. It is located downtown in the River North neighborhood. 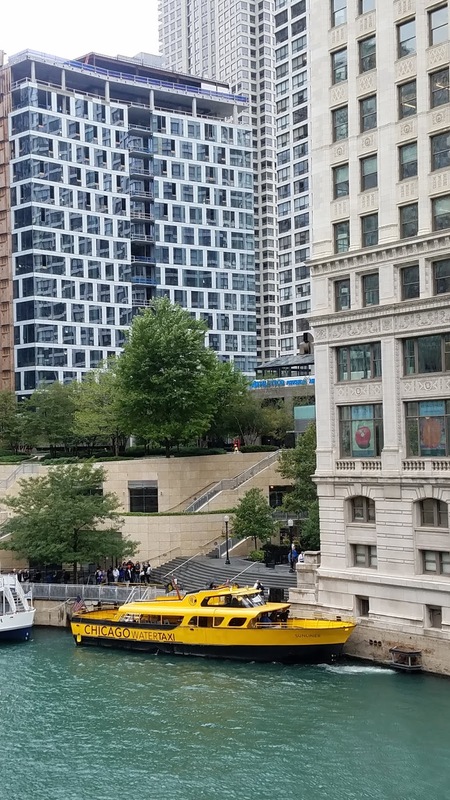 Everything is accessible -- shopping, fine dining, casual dining, river cruise and The Bean at Millenium Park! (I could see Bloomies from my hotel window and I made a little side trip to Forever 21 despite we have one in SF. I just could not resist!) The subway is also just a block away but Chicago is such a walkable city that I just walked to wherever my feet took me. The room at Acme was the only hotel room that I have ever been to where there was no closet! The square footage was definitely lacking but I was impressed by how efficient the room was designed. I did not feel cramped despite being in a size-challenged space because of the high ceiling and the breathtaking view. There were pegs to hang my clothes. There was a a luggage rack, leather stool, desk, Alexa radio and flat screen TV, etc. There was a stock bar that held beer and water for the same price that you could get them at the store. Thank you, Acme, for not price-gouging! And the wi-fi was strong! Let me just say this -- I will take a spacious bathroom anytime even if the room is small vs a humongous bedroom with a cupboard of a bathroom. The bathroom at Acme was spacious and fabulous! I mean, look at this KISS lighting on the mirror. When you turn out the lights, this giant red lips light up! It was a cool night light. I also like the quality toiletries with the lovely scents -- lavender lotion, mint shampoo, etc. Nothing of those drugstore generic kind. There were plenty of fluffy towels (which are very important to me). And for what it is worth -- rain shower head! The water pressure at my house is not strong enough for this otherwise, I would have had it installed in a heartbeat! To show how much I loved the bathroom, I showered twice a day (which is how often I shower at home) but longer and I did not want to get out of the shower! I was way up and had a view of the Chicago skyline. It was awesome at night and awesome when I woke up in the morning. The view really made the small room felt bigger. Well, it was the thermos of hot coffee that was delivered to my room every morning. I mean, we are talking freshly brewed strong and delicious coffee here! For morning coffee-drinkers like me, I know that you perfectly understand my sentiment. Very, very important stuff because I am not human before my first coffee in the morning. A lovely hotel bar where my friends and I hangout until past 11 pm. It was so awesome to have a place where work friends from Brooklyn, Texas, Washington DC, Kansas City, Minnesota and I were able to have a drink after our reception. (Well, I did not drink but it was still nice.) 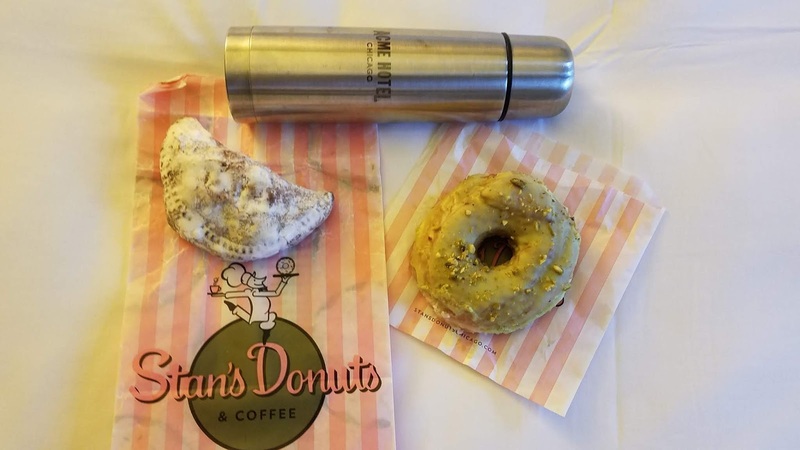 There was also a restaurant and West Town Bakery at the hotel with freshly-baked yummy looking pastries but I did not get to try them because I stuffed myself with Stans Donuts. The bed was very uncomfortable! I thought it was just me because I am spoiled by sleeping in a Tempurapedic mattress at home but my friends complained as well about the bed. I think the bed was still the spring mattress-kind. It is time to switch, Acme! Acme was a good hotel for me as a solo traveler. I am glad that Mr Sweetie was not with me as the space would have been a challenge. Some of my colleagues got a room with a seating area. Maybe that would be more spacious for a couple. My friends also complained about the street noise but I did not notice really although I heard sirens here and there. The bed was the deal (back) breaker for me. (Sorry!) Otherwise, I had 4 delicious days/3 delicious nights of rest and relaxation at Acme. Take the subway if you want to save money. It was just a few bucks compared to taking a cab for about $60. I took a cab because I am a princess like that whether expensed or not. Comfort is really my thing over material stuff. However, Chicago has a great subway system. After a 4 1/2 hour flight, I just wanted to get to my hotel which was a long 40 minute ride by cab from the airport. My room rate was about $180 including tax. Luckily, I only paid for one night. The rest of the nights were paid for by work. Get pastries or donuts for your morning coffee or tea so when you wake up in the morning, you have yummy breakfast! I got me 2 donuts at Stans Donuts in Chicago. I still dream of those donuts to this day -- pistachio and nutella pocket! There will be more Chicago posts next!